We are SALSA – Social and Life Skills Alliance, an award winning social enterprise company founded in 2006 to offer training and therapy services in the North West. We have created this exclusive nationally recognised qualification in association with the awarding body Ascentis (formerly OCNW), which aims to enhance your existing skills and provide you with new networking and vocational opportunities. Delivering the programme as individually accredited modules, which means each workshop has a national credit value. This means we can potentially offer you accredited prior learning (APL) for certain modules; or if you are unable to attend the full programme, you can catch up later to achieve the full qualification. Providing most of the assessment throughout the workshops, thus minimising individual administrative requirement of the course in your own time. 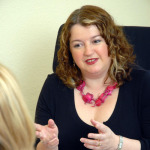 And new for 2012, we are hoping to offer counselling placements for those colleagues who do not have the opportunity to work with couples through their usual therapeutic practices.